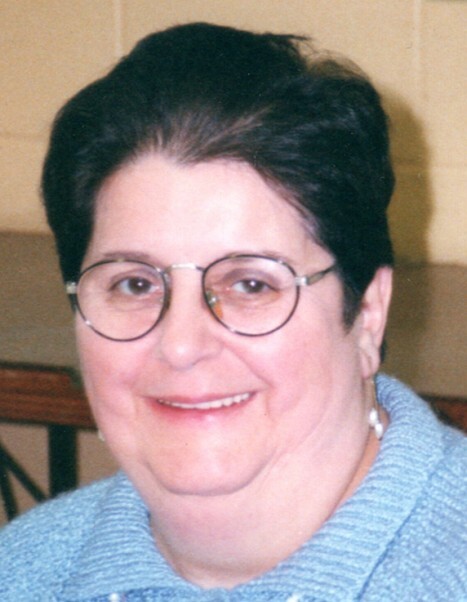 Obituary for Alice Jane Lewis | Glunt Funeral Home and Crematory, Inc.
Alice Jane Lewis, 74, of West Springfield, died Thursday, February 7, 2019 at Western Reserve in Erie. She was born in Conneautville, PA on February 14, 1944, the daughter of the late Jacob and Gladys Rexford Keiper. Alice attended the one room school houses in Franklin Center and on Silverthorn Road. She was an Edinboro High School “Turtle” until the new General McLane High School was built, graduating in 1963. Alice was a giving person, always willing to put the needs of others before her own. While at Western Reserve, she enjoyed painting, crafts and music. She was a past member of West Springfield Baptist Church. When she could no longer attend church, she looked forward to watching Christian television on Sunday. She was preceded in death by a sister, Christine Keiper, in 2016. Survivors include her son, Marvin Lewis of Albion; two daughters, Patricia (Mike) McCarrell and Connie Lewis, both of Alabama; three brothers, Charles Keiper, of Mississippi, Samuel (Tamara) Keiper, of California, and David (Janet) Keiper, of Union City; four sisters, Evelyn Keiper, of Girard, Betty (Karl) Albritton, of Louisiana, Kathryn (Tim) Aldrich, of Girard, and Linda (Bob) Galmish, of Erie; and three grandchildren, Brandon Hosack, Hannah McCandleless and Miles Beard. Friends may call at the Glunt Funeral Home and Crematory, Inc., 210 Erie Street, Edinboro, on Friday, February 15, 2019 from 6 to 8 p.m. and Saturday at the Franklin Center Methodist Church from 11:30 a.m. till the time of a funeral service at 12:30 p.m.
Burial will be in Francis Cemetery. Memorials may be made to Great Lakes Hospice, 1700 Peach Street, #244, Erie, PA 16501 or American Cancer Society, 2115 West 38th St., Erie, PA 16508. To send condolences please visit www.gluntfuneralhome.com.